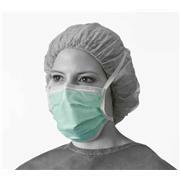 Providing high particle and bacterial filtration efficiency, the latex-free and lowlinting BioClean MEA™ Looped Facemask ensures protection, combined with comfort and exceptional breathability. 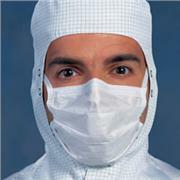 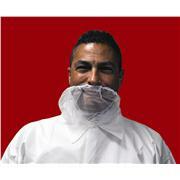 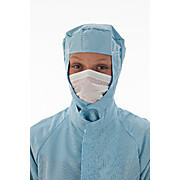 Providing high particle and bacterial filtration efficiency, the BioClean MTA™ Cleanroom Tie-on Facemask is manufactured from cleanroom compatible materials to reduce contamination into the controlled environment and features tie-tapes for a secure fastening. 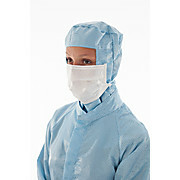 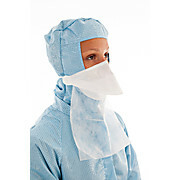 Sierra™ General Masks, Blue, 7"
Sierra™ Controlled Environment Masks, White, 9"
The BioClean-D™ single use three piece Hood has been designed and constructed for a perfect fit. 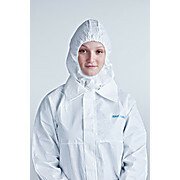 Made from antistatic lowlinting durable CleanTough™ material, the hood features an elasticated face-opening with reinforced edges for exceptional comfort and protection. 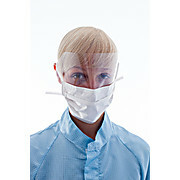 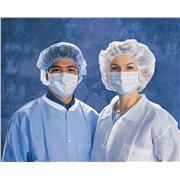 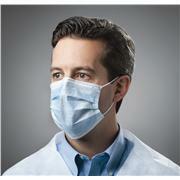 Providing good particle and bacterial filtration efficiency, the latex-free BioClean VFM™ Sterile Visor Facemask combines comfort and breathability. 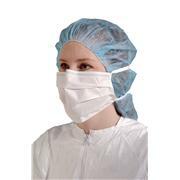 The optically clear, distortion-free anti-fog visor provides additional protection reducing the risk of contamination entering the controlled environment. 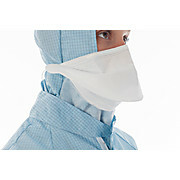 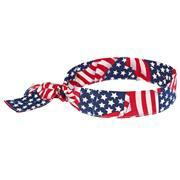 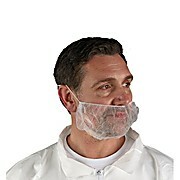 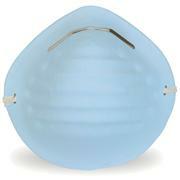 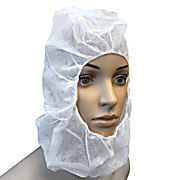 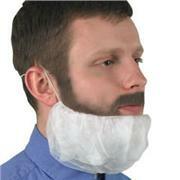 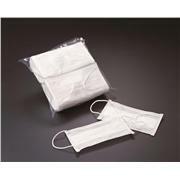 White/Blue Nuisance Dust Mask with Adjustable Metal Nose Band and Latex Free Elastic Strap. 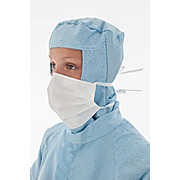 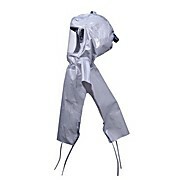 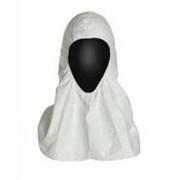 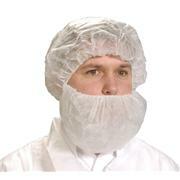 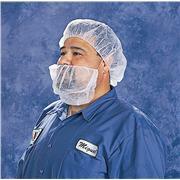 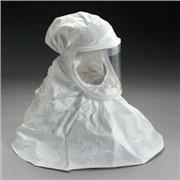 This lightweight, comfortable respirator hood helps provide respiratory protection for a wide range of applications. 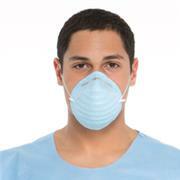 Used with 3M™ Air-Mate™ and Breathe Easy™ Powered Air Purifying Respirators (PAPR) and 3M™ Supplied Air Hood Systems BE-Series. 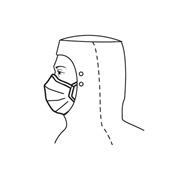 Constructed with a patented spacer to maintain clear breathing space, the BioClean DB™ Pouch-style Facemask ensures exceptional breathability, comfort, and protection for the wearer.